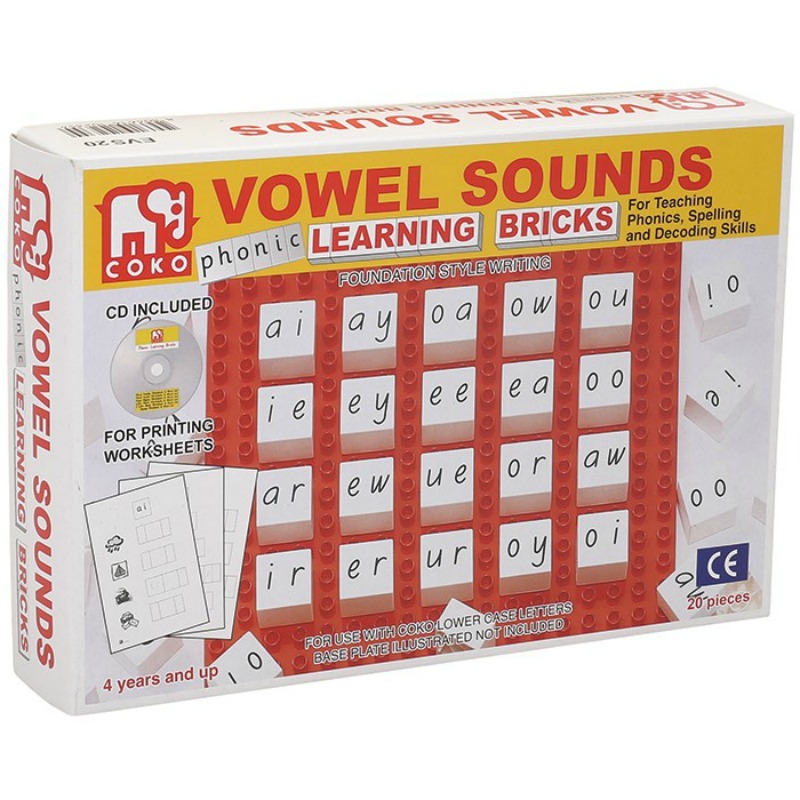 COKO Vowel Sounds Learning Bricks help children identify and distinguish vowel sounds such as ‘ay’, ‘ee’, ‘ew’ and ‘oy’. 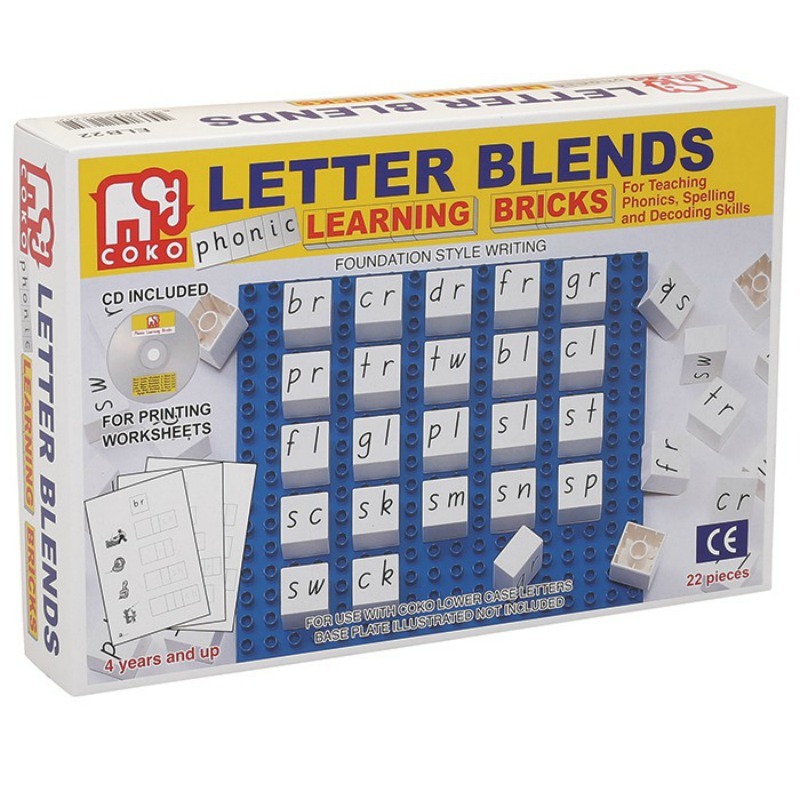 The educational letter bricks can be attached to Lego Duplo bricks for a fun, visual building game, encouraging children to explore the wonderful world of letters through play whilst developing their language skills, phonics, spelling and decoding skills. 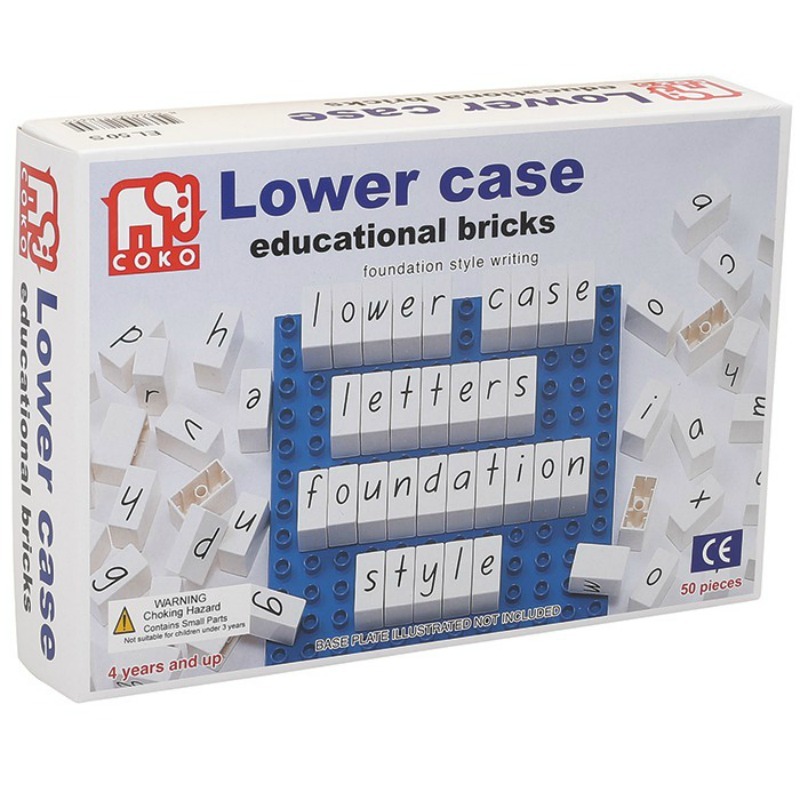 The COKO range has a great focus on supporting children developing their knowledge of numbers, letters and sounds. 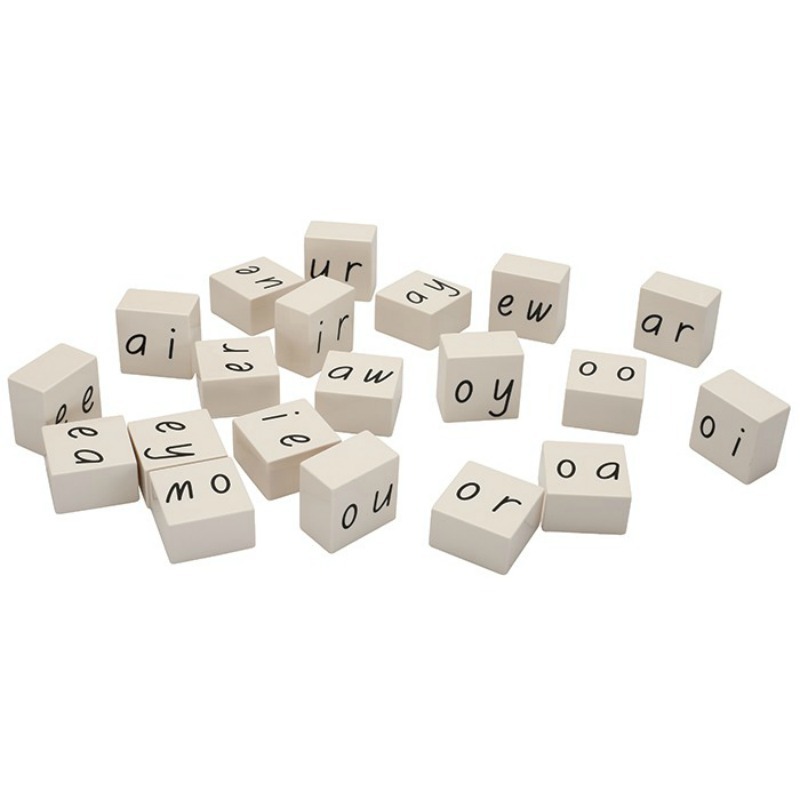 Development of language and social skills start at an early age and can be nurtured through role playing and constructing with COKO blocks. 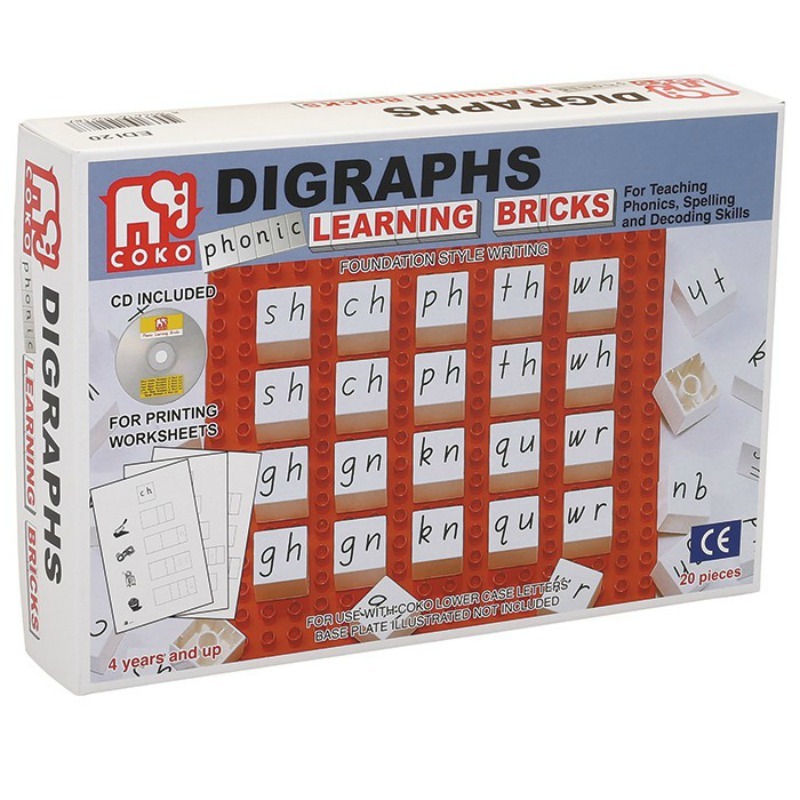 Features Foundation script, CD for printing worksheets and educator notes. 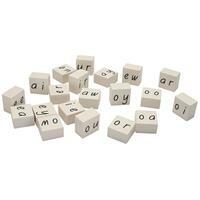 The pieces are compatible with Lego Duplo bricks. Base Plate not included, sold separately. 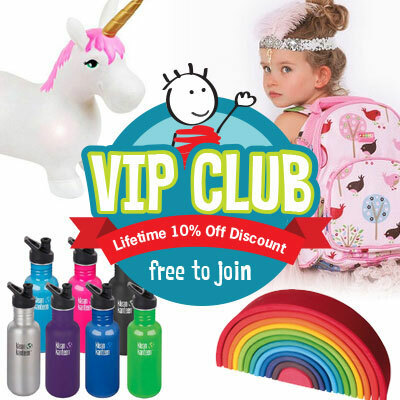 View more in the COKO range.